FCE was called to respond to sodium hydroxide release that occurred three days prior. 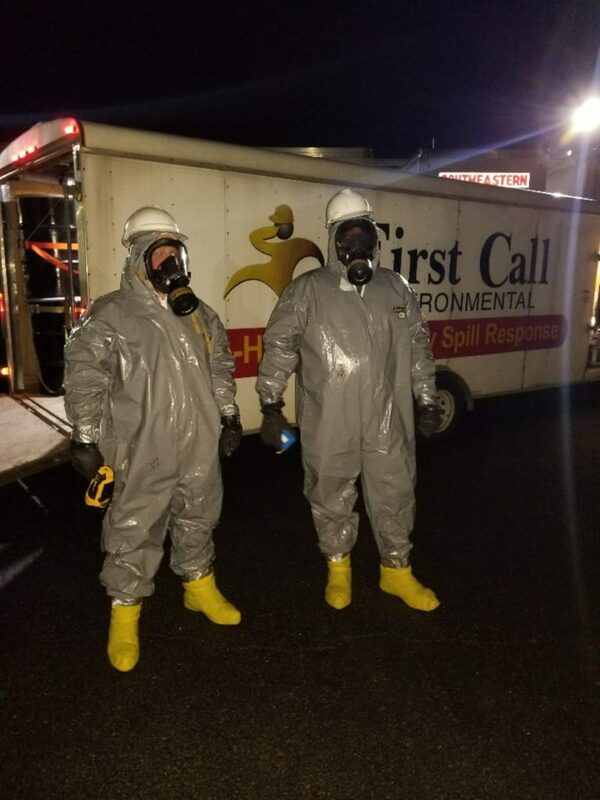 Contamination was visible upon the trailer floor, ground beneath the trailer and a nearby drain. Product had hardened on the asphalt. 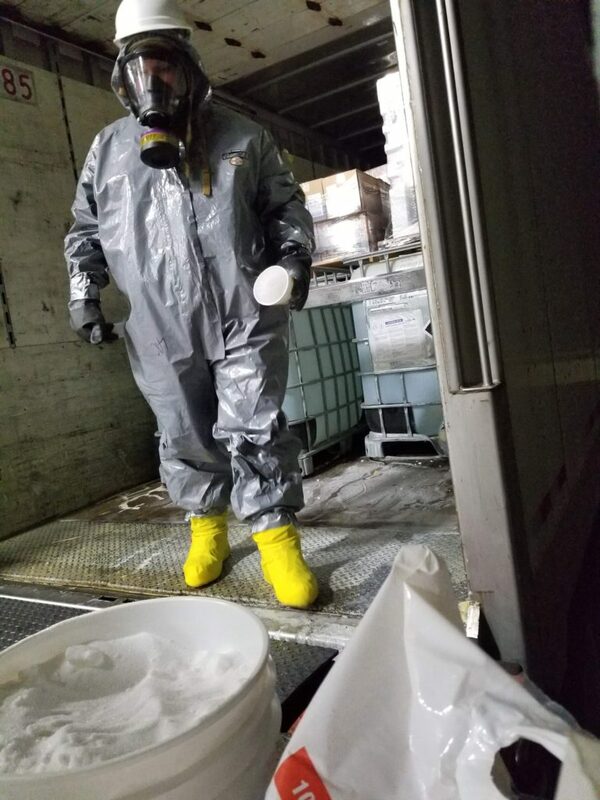 FCE donned proper PPE, setup a decontamination station, and worked to neutralize the released product using a citric acid solution. FCE located the leaking tote and noted a malfunctioning valve. The valve prevented FCE from being able to conduct a typical tote transfer. 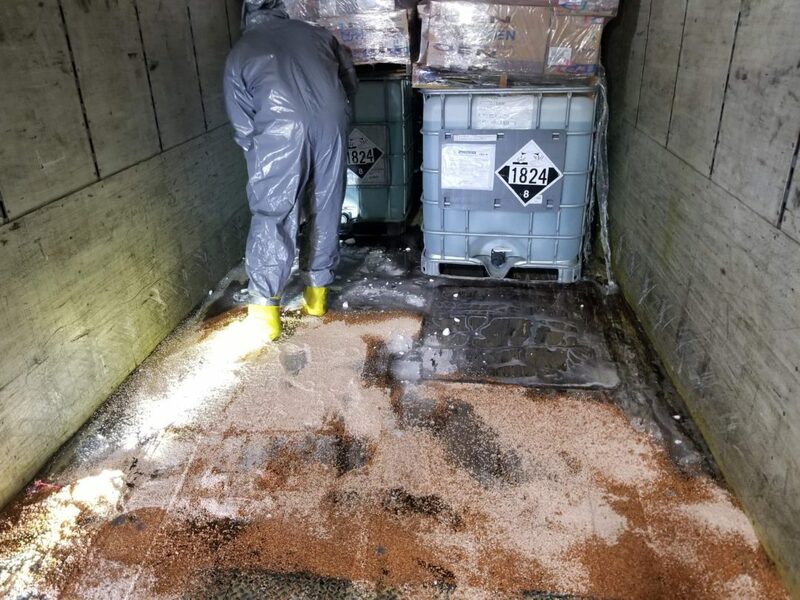 The tote was breached from the top and the product transferred into a replacement tote.